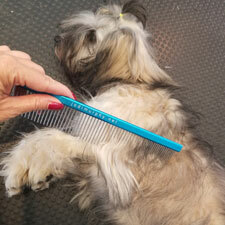 Whether your dog is big dog or small, long or short-coated, all dogs need some kind of grooming in their lives. Show dogs in particular must be regularly bathed, nails trimmed, teeth brushed or cleaned in order to present their best selves to the judge in the show ring. In this course you will learn tips and techniques from equipment to training behaviors all with the goal to make the grooming experience pleasant for both dog and person. Whether your dog is big dog or small, long or short-coated, all dogs need some kind of grooming in their lives. Show dogs in particular must be regularly bathed, nails trimmed, teeth brushed or cleaned in order to present their best selves to the judge in the show ring. In this course you will learn tips and techniques from equipment to training behaviors all with the goal to make the grooming experience pleasant for both dog and person. 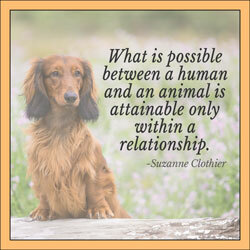 Why Train Cooperative Grooming Behaviors? Mats Happen, What to Do?